Home Science Can Being A Selfish Narcissist Produce Better Decision-Making Behavior? Can Being A Selfish Narcissist Produce Better Decision-Making Behavior? Narcissists are known for their extreme self-love and its terrible consequences. Placing their own interests and opinions above others, they assume other people should yield to their demands and expectations. Their unwarranted ‘I’m the best’ attitude tends to rub others the wrong way, often earning narcissists disapproval just when the greatest effort is being made to shine. In most social situations, taking a narcissistic stance is a good way to cause conflict and foil consensus. With grandiose beliefs about their personal prestige and capabilities, narcissists are prone to discounting others’ contributions entirely, inspiring fruitless interpersonal conflicts. And yet, even a blind hog stumbles over an acorn now and then. Psychological research suggests the narcissist may hold the advantage in certain situations. Have you ever been part of a group working towards an important decision and didn’t like where things were going? Did you speak your mind to the group or keep your opinions to yourself? Was the group’s decision a good one in the end? Psychologists believe people tend to rely either more or less on information provided by the outer world to guide their thinking. Self-sufficient thinkers are said to have ‘field independence.’ Field-independent individuals don’t need anyone to tell them what’s going on in a situation. They can deftly filter out environmental noise and get to the heart of the matter on their own. As a result, these folks are better at separating important details from surrounding contexts. One way researchers measure field independence is with a simple test of perception. Participants are tasked with visually identifying a particular object embedded in the midst of a chaotic mess of shapes. Those that do this with ease are thought to be more field-independent—better able to disregard distractions to arrive at a solid conclusion. Field independence works in social situations, too. If you can cut to the chase without others’ input, you may not need to rely very much on information provided by other people. What about the narcissist who hardly bothers at all to listen to others’ input? Could this behavior be similarly adaptive? Are self-absorbed, overconfident people better able to filter out social distractions and make smart decisions in conditions of uncertainty? Psychologists at Texas A&M put this hypothesis to the test earlier in 2013. Kaileigh Byrne and Darrell Worthy found that student participants who scored high in narcissism made better decisions than their peers in a game of odds in which they were confronted with misleading information. The misdirection was designed to trick the participants into making bad decisions, but it didn’t work with the study’s narcissistic types. When the right move was to disregard other people’s views, high-narcissism participants outperformed everyone else. Others’ doubts didn’t lead these individuals to question themselves. Assuming they were correct and duly entitled, they shoved right past incoming interference to win the game. In a situation where deceptive information was pushed to engender self-doubt, narcissistic types easily evaded the trick. Their overconfidence and near-automatic dismissal of others’ views saved them from external manipulation. The study’s authors found that it can be smart to discount others opinions—at least when they happen to be wrong. It’s not the first time narcissism has been deemed a potential benefit. It has also been labeled adaptive in trying emotional circumstances that threaten one’s sense of self-worth. Research shows that illusions of self-importance can help sustain healthy psychological growth in such conditions. The clearly undesirable alternative would mean internalizing conflicts in ways that lead to depression and suicidal feelings. 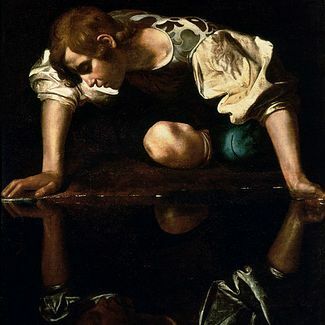 In recent years, research has pointed to the adaptive character of narcissistic attitudes in older adolescents as they take on the identity challenges of young adulthood. Could narcissism’s ability to shrug off others’ unhelpful input play a role in this critical period of psychological development? It’s true that other people don’t always come up with the best ideas. When groupthink takes hold, the person best able to withstand the pressures of conformity may have the best insight. And when incoming social information is dishonest, it’s the self-assured among us that can stay ahead of the game. What’s the best approach to good decision-making? Going with your gut and staying true to your principles are important, but so is keeping a flexible, open-minded approach. Don’t assume any one person or group is necessarily right. That said, narcissism can teach us about the importance of intellectual independence, courageous assertiveness, and critical thinking. Bringing a healthy sense of skepticism to others’ claims is good practice and helps limit the influence of maladaptive peer pressures. Color Psychology: How Much Do Colors Affect Our Daily Life? 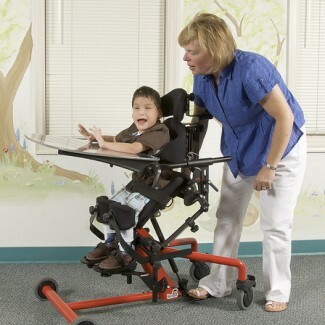 What Does An Occupational Therapist Do? What Are The Health Benefits of Pistachios? What Does A Case Manager Do? What Did Thomas Jefferson Do? What Happens When you Die? Afterlife in Different Cultures What Do Ivy League Admissions Look For? What Are The Top Marine Biology Colleges In The U.S.?